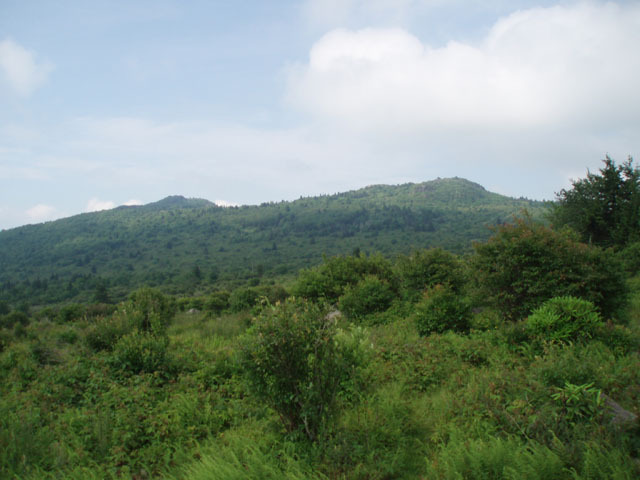 Description: The combined Grayson Highlands and Mt. Rogers National Recreation Area has to be the biggest crown jewel in the VA hiking crown. I can only say that no other hike in VA comes close to what this venue has to offer you. 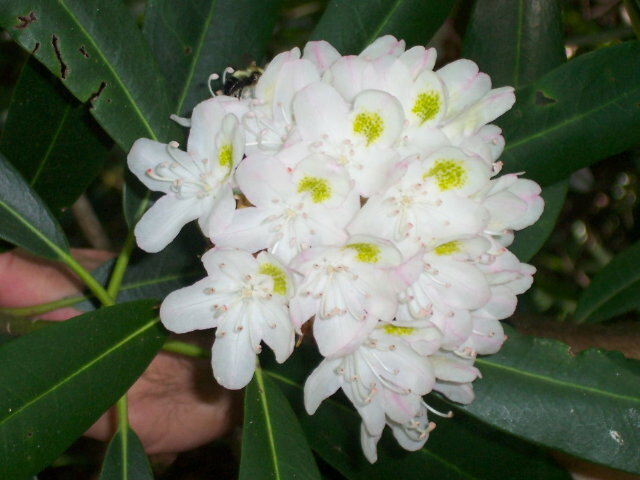 Combine the exposed balds of the Highlands, volcanic looking rock formations to play on, the constant changes in landscape, fields and tunnels of Catawba Rhododendrons blooming in mid-June, clusters of Mountain Laurel and Flame Azaleas at the lower elevations in May and June, Rhododendron maximum (white Rhodos) in bloom along the streams in July, vista after amazing vista .... then throw in the wild ponies like a cherry on top of a giant Banana Split and you have the Highlands! 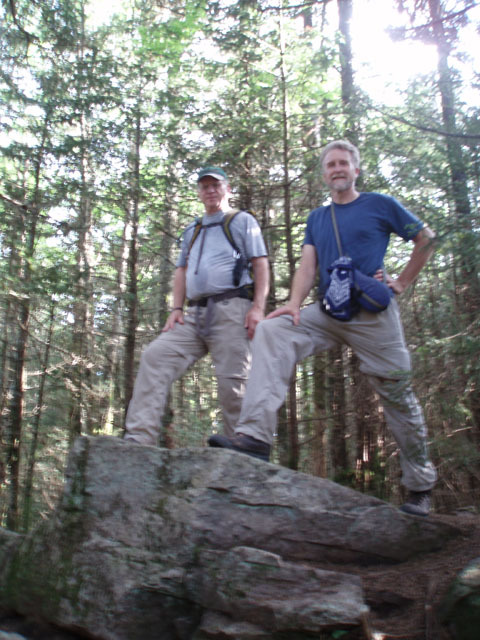 This is the third of three hikes exploring the beautiful and ever popular Mt. Rogers N.R.A. and Grayson Highlands. 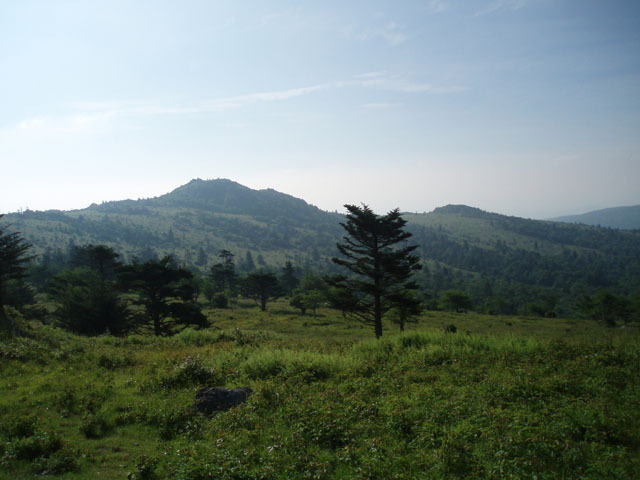 (See Grayson Highlands SP and Grayson Highlands-2 hikes.) It is described as a three day, 21 mile, moderate loop with approximately 3300 feet of elevation gain although it can easily be done in two days if you arrive early enough and don’t have a long drive home. 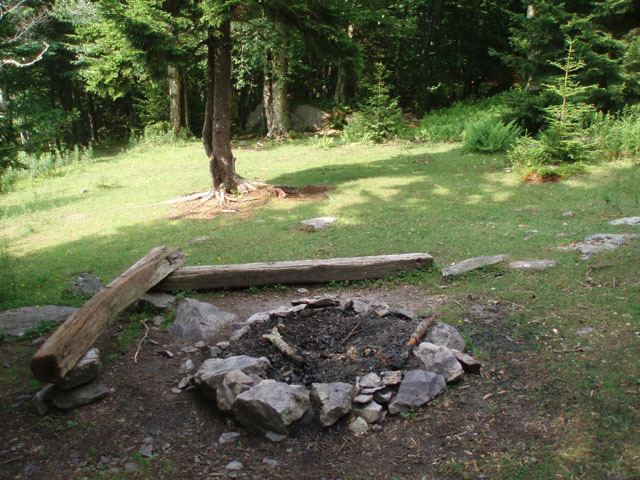 An intermediate campsite will be described if you wish to try this option. 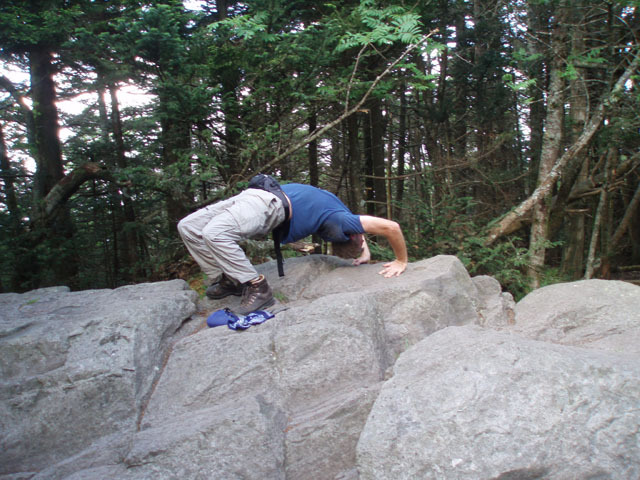 Trailhead Security: This hike can either be started at the Mt. Rogers Trailhead or AT parking lot, both located on Rt. 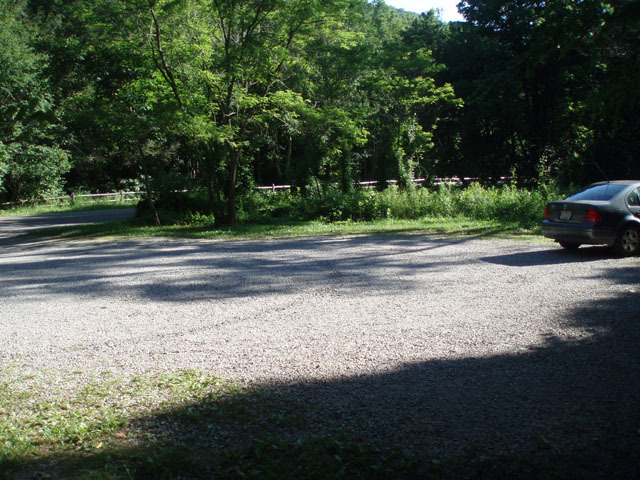 603, however, due to a continuing incidence of car break-ins and thefts at these locations that have been going on for over ten years we recommend that you park at the Grindstone Campground and pay $3.00/night. It’s worth the added security. I had it happen to me. Trail Notes: Day 1 (7.8 miles): From the parking area walk down the main campground road towards the entrance. Turn right onto the signed Mt. Rogers Spur. In 0.73 miles from the parking lot turn right onto the blue blazed Mt. Rogers trail. Switchback gradually to a flat area. In 2.06 miles from the last trail junction pass the blue blazed Lewis Fork Spur Trail on the left. In another 1.87 miles bear left onto the AT as the Mt. Rogers Trail ends. In 0.95 miles arrive at the first of many vistas looking out over the Highlands. Continue on the AT and in 0.91 more miles arrive at the Mt. Rogers Summit Trail. Turn left onto it and climb gradually for 0.54 miles to a large boulder with a USGS marker on it. Most people think this is the summit. It is not. Continue on the trail for about 10 more steps to a smaller boulder that also has a marker. According to the altimeter in my GPS the top of this rock is five feet higher than the previous one. This is the highest point in VA at 5,720 feet. 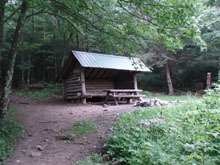 Return to the AT and travel 0.16 miles to the Thomas Knob Shelter. There are nice campsites on either side of it and a spring in the corral behind it. This is you home for the night if doing this hike over three days. Enjoy the views and the ponies as you settle in for the night. 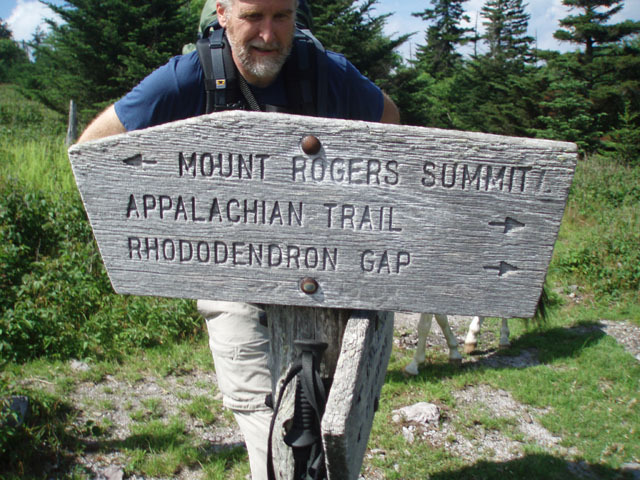 Day 2 (8.1 miles): Continue northbound on the AT. You’ll pass several other “dry” campsites as you go. 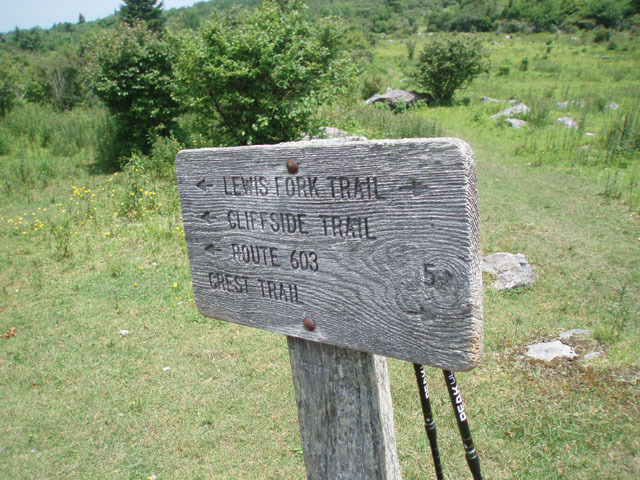 At 0.98 miles arrive at the west terminus of the Pine Mountain Trail. Just before this, on the left is a giant rock outcrop that is easy to climb and provides a 360 degree view of the area. The Pine Mountain Trail was the original route of the AT before it was re-routed to share the Highlands with the through hikers. Shortly after passing Pine Mountain Trail turn left onto the Crest trail. This is an unblazed but obvious multipurpose trail. At first the going is over lose rock but soon becomes more bearable. 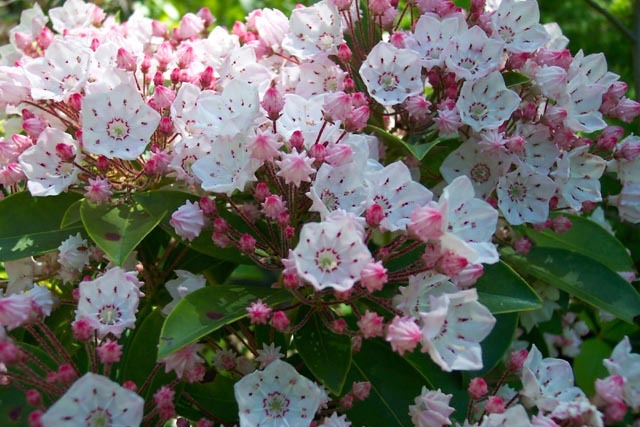 If hiking this in mid-June you’ll be surrounded by blooming Catawba Rhododendrons. 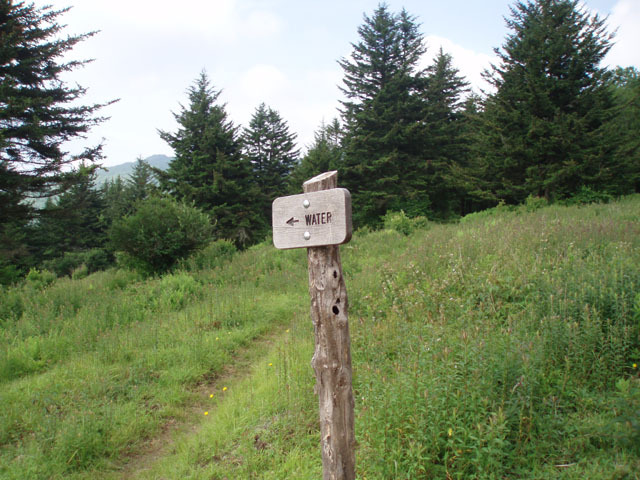 In 1.18 miles pass a side trail on the right with a water sign. 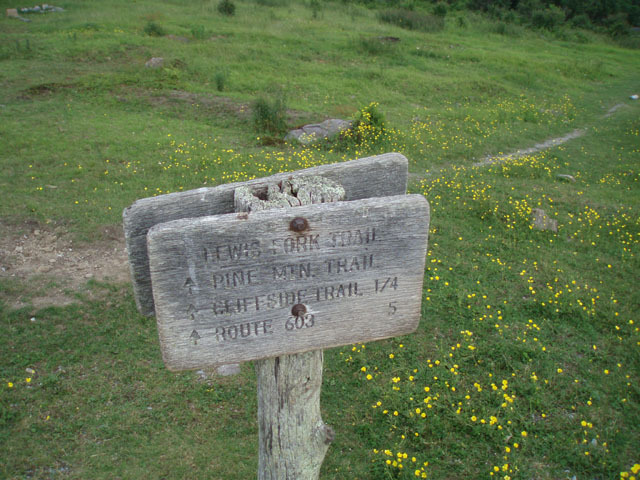 If you are doing this trek over two days turn right here and find a nice grassy campsite with a view and cool spring water. Continuing on, pass a couple of horse campsites and arrive at the junction of the Lewis Fork Trail in about 0.10 miles from the “water” trail. 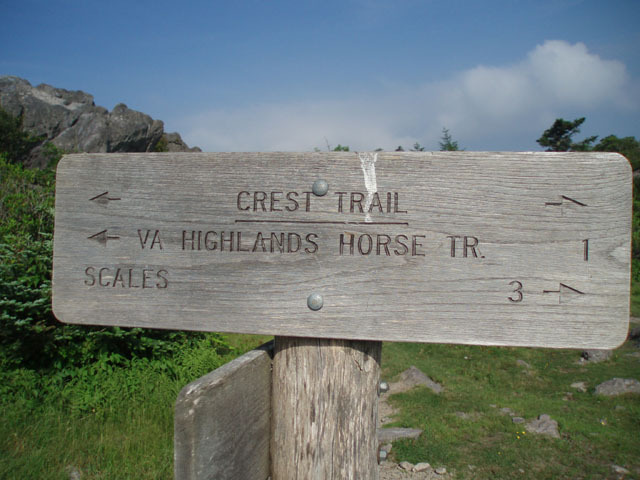 Continue on the Crest trail and descend to the Scales in another 1.85 miles. This is where cattle were herded prior to market in days long gone. Find piped spring water and latrines inside the corral. 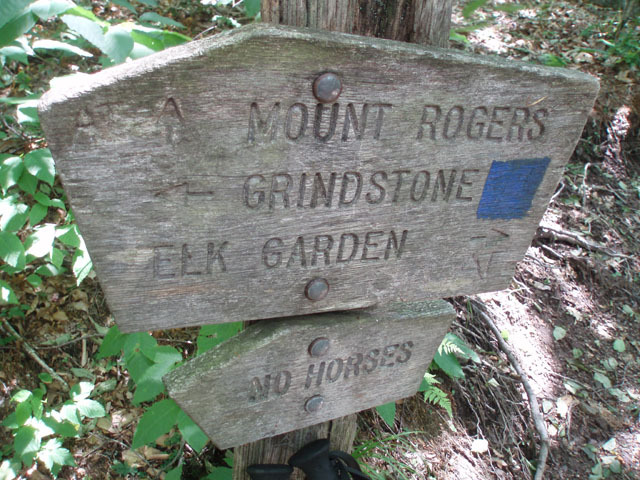 Immediately turn left onto the AT and climb for 0.98 miles to the east terminus of the Pine Mountain Trail (not signed here but blazed blue.). You’ll pass another nice campsite next to a spring prior to this junction. 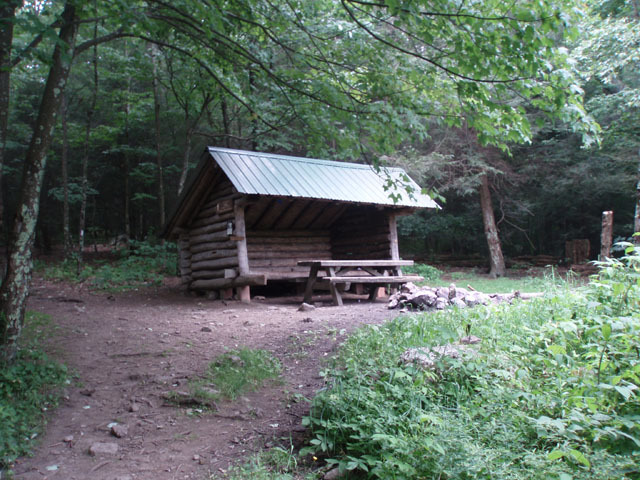 If you stay on the AT it will be a quick 2 mile downhill hike to the Old Orchard Shelter, your home for the night. 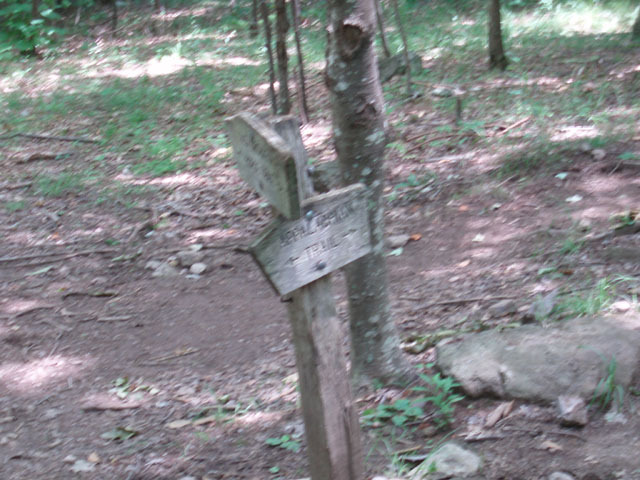 To extend the hike turn left onto the Pine Mountain Trail. Pass two dry campsites, one on the right almost immediately after turning onto the trail and the next on the left, 0.34 miles from the AT junction. Cross an exposed spring before arriving at the junction of the Lewis Fork Trail in 0.54 more miles from the last campsite. Turn right and soon pass another campsite. Almost immediately turn right onto the Cliffside Trail. Cross a spring that makes the last campsite a very viable option and descend steeply for 0.65 miles to another junction with the Lewis Fork Trail. There is no sign here but it is quite obvious. Turn right here. 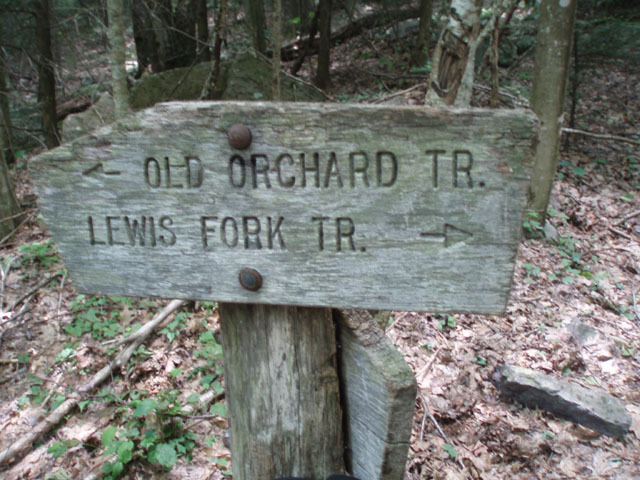 In 1.04 miles the Lewis Fork Trail makes a hairpin left turn but the road/trail ahead of you continues as the Old Orchard Trail. Stay straight, cross a stream and pass some very nice gassy camp sites under the trees on the right. In 0.4 miles from the Lewis Fork junction turn right onto the AT and in a hundred yards or so arrive at the Old Orchard Shelter and your home for the night. There is another nice campsite just before it. Day 3 (4.5 miles): Today is pretty easy. 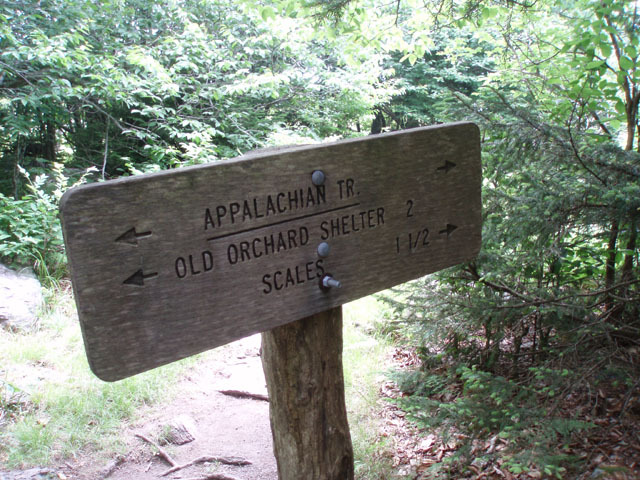 Retrace your steps to the Old Orchard Trail junction. Cross it and jog slightly to the left to stay on the AT. Descend into the valley. Cross Rt. 603 in 1.45 miles from camp and immediately turn left onto the Fairwood Valley Horse Trail. Despite being a horse trail I found this to be a pretty good connector trail as you pass in and out of deep woods with Rhododendron thickets and open meadows with the sky and the mountains you’ve been exploring as a backdrop. You’ll pass the northern terminus of the Cliffside trail on the left in 0.32 miles and then a high water route shortly after that. Cross a stream (I think it is the Lewis Fork) and in 0.10 miles pass the terminus of the trail of the same name on the left. 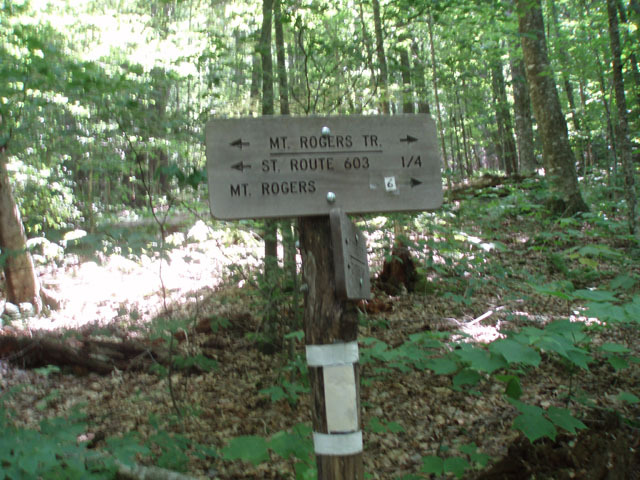 In 0.87 more miles bear left onto a footpath that leads to the Mount Rogers Trailhead parking lot. Turn right onto Rt. 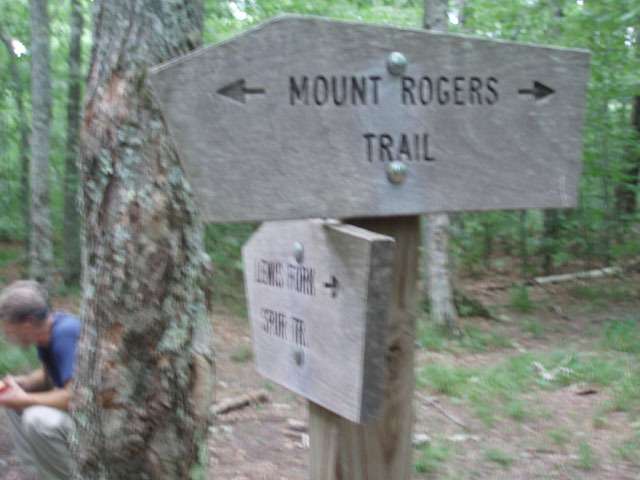 603 for a few steps and then left onto the boardwalk that marks the beginning of the Mount Rogers Trail. In 0.63 miles arrive at the Grindstone Campground Spur. Turn right and retrace your initial steps of the trip back to your vehicle. We did it in two days. Day one we did as prescribed, day two 13 miles. The terrain was quite rocky and very wet. Good hiking boots seemed like a must-have for me. The only "brutal" stretch for us was the .65 mile decent down the Cliffside Trail. Very steep and hard on the calves. James Leo's PDF trail notes were very helpful, thanks! Despite many connector trails, etc., this hike was pretty easy to follow. I only checked location on GPS two or three times. Parking at Grindstone was excellent and easy. The campground manager was very nice. The shower there after hike was also excellent! It was nice to do most of the climbing on day one and get it out of the way. As we departed I met a group who did basically the same hike but in opposite direction and I kept thinking that I was glad we climbed quickly first, and then descended. Thomas Knob Shelter was full when we got there so after visiting for a few minutes we walked to the first campsite on the right side of the trail and pitched tent. This proved to be way too windy so I moved tent to more sheltered area across trail. It was a VERY, VERY windy night with a thunderstorm. Be careful not to get seduced into a campsite with a "great view" if it is windy. There are MANY excellent campsites a little farther down trail from shelter (like 500-1000 yards). Lots of nice sites tucked in the woods. 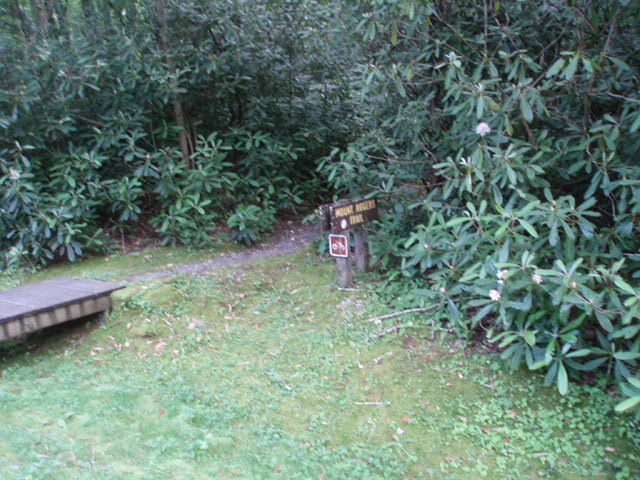 The spring water at Thomas Knob is a good 500 yards below shelter but not too terribly hard to find. It's really there! The view at Thomas Knob and on the way up there was fabulous, however it didn't last very long for us. As the day grew long, the fog/clouds rolled in and we were pretty much socked in for rest of hike. Day two we got up and got moving fast and early because we were wet and cold. 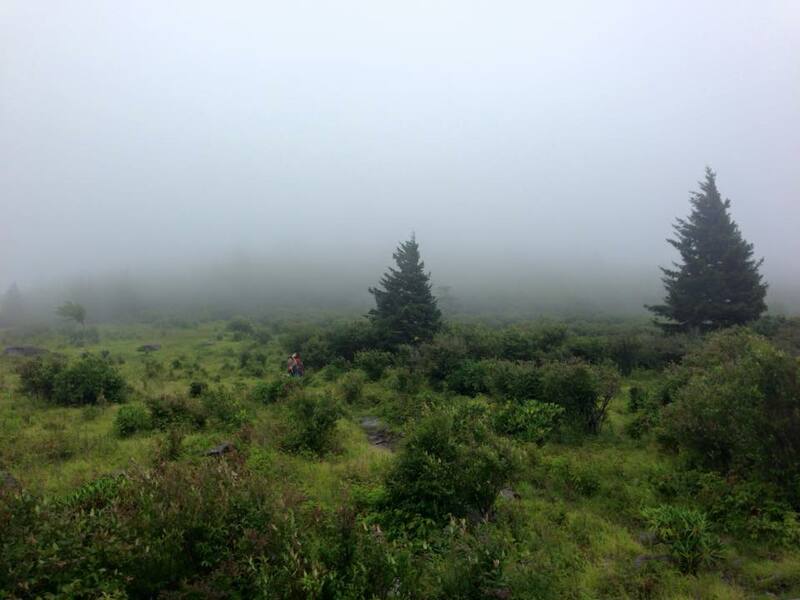 The hike through Grayson Highlands was very nice (see photo). It felt mysterious and Scottish, for sure. We made it to the Scales by mid-morning. The spring there was running but the black pipe into the corral was clogged (look for yellow "Water not tested" sign on inside of corral fence). I ended up getting water from the "spring" at a trail junction later on hike. There was water running everywhere -- it's been very rainy this year. We got to Old Orchard shelter by mid-day, where we had a nice visit with some other hikers while we dried out a little bit and cooked lunch and made coffee. It was only about 2 pm and so we decided to go ahead and hike the last 5 miles and make it a 2 day hike instead of a three day. We hike fast, I guess! We looked for a place for dinner in Damascus but didn't see anything open that looked good. We ended up at Los Arcos near second (southermost?) I-81 exit in Abington. Excellent Mexican food! Critique: I am including a 2000 word blog post I wrote detailing this trip and 25+ photos. Definitely feel free to take a look at that to get the entire details of my trip. We had a fantastic time and I definitely encourage anyone to do this route. 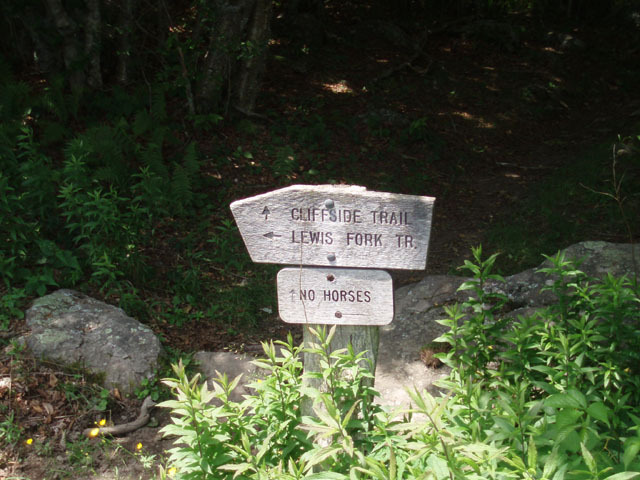 1) If you are doing the two day hike, please plan on staying somewhere OTHER than the suggested campsite. There is no water there. Perhaps the spring was simply dried up when we were there, but we ended up going all the way to The Scales. The campsite was beautiful and would have been a perfect evening, but it wasn't to be the case for us. The Scales was a great campsite for us nonetheless. 2) Let me preface this section with the fact that our entire group wore Vibrams. My wife and I were very intentional with this. My wife and I often train minimalist (I was a previous college XC runner) and wanted to experience a multi-day hike with the Vibrams. Therefore, take these comments with the fact that we wore Vibrams in mind. The loose rock is pretty terrible for us. It is slow going, and there really wasn't a part of it that was bearable, in my opinion. I imagine that this would have absolutely not been the case for anyone who is hiking in traditional hiking footwear. 3) Otherwise, everything is pretty much spot on. The author provides amazing detail and has really done his research. As our group looks to continue Peakbagging, I will be sure to look for his route suggestions again for the Mid Atlantic region. This was a fantastic hike, and other than those couple of hiccups, everything was extremely smooth. If you decide to do this, enjoy! The ponies, a summit, and the highlands views are simply amazing. Critique: After reading the trail notes for this hike, I was definitely excited about coming to Mt. Rogers. We stayed at Grindstone Campground as our drive from Ohio was 6.5 hours and we came in on a Thursday. We started Friday morning but the connector trail from the campground was closed as a tornado had taken down many trees. We walked Rt. 603 down to the start of the Mt. Rogers trail. That trail is very tightly packed with vegetation, though a very well marked and steady trail. It was overgrown due to the phenomenal spring/summer weather so far. 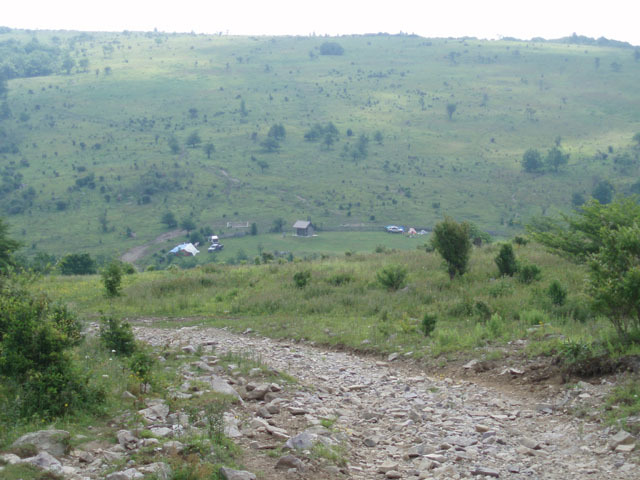 Once we got onto the AT, it was completely different. My husband, who had never hiked any section before was pleasantly surprised at the shape of the trail and how well it's taken care of. We lunched at the beautiful bald overlooking the mountains. Not to be missed for sure. We unfortunately hit the open mountain up to Mt. Rogers during the hot afternoon sun and the climb soon wore us out. It is only a short hike from there to the shelter, which for us was about 2:00 p.m. A little too early for our taste, and because we didn't know the trail, did not head on to find another campsite later on. We could have done so because there are so many beautiful campsites in the next mile or so of trail. Keep that in mind when you go. Mt. Rogers peak was a little sad, because there is no view. 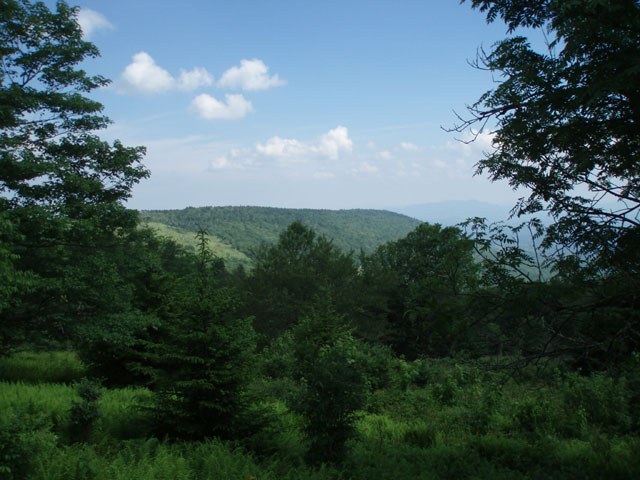 Tall trees surround the top so you don't get the beautiful view that you get at Thomas Knob shelter. Spectacular sunset. As for the Crest Trail, it was very well marked with a sign and we found our way down to Scales with no problem. Again, this part of the trail is completely open and so we were glad we hiked it early and the sun wasn't beating yet. Scales is a nice respite and once you regain the AT it's all woods and cool and clear. We decided to hike out the same day. It was only 8 miles and again, made it to Old Orchard by 1:30. We rested for an hour and then took the next (EASY) 4.5 miles out. We got back to Grindstone about 4:45 and booked a campsite. 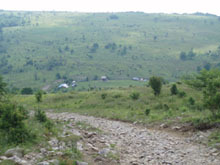 The last mile on the horse trail is climbing the hill back up, be ready for that, but overall that horse trail was great! Got to talk to a lot of horse people and the road is wide and not too muddy. Great suggestion for a hike, the only negative was the early arrival to shelters. My husband isn't one for just hanging out and it seemed we had too much time. I prefer getting in around 5 or 6 to camp. Other than that, was terrific!! 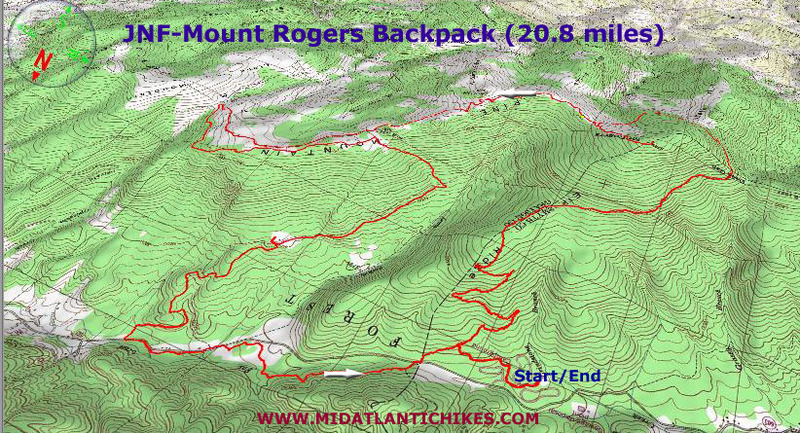 Critique: We linked Grayson Highlands and Mount Rodgers for a fantastic 3 day backpack loop. 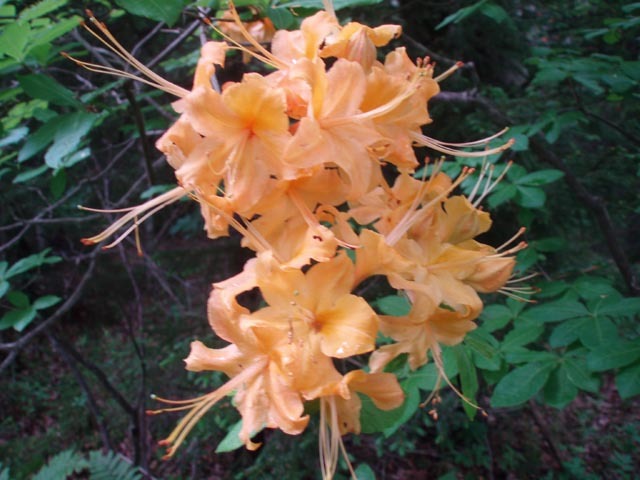 We started on Mount Rodgers and the trail is maintained very nicely. Once you near the top, the smell of evergreens hits you, and you're in heaven. Even with the elevation gain, this was not that hard of a climb. It is not that steep, although it does go on for a few miles. The view from the shelter and campsites is amazing. I took a group with me and I decided not to tell them about the trip to surprise them. 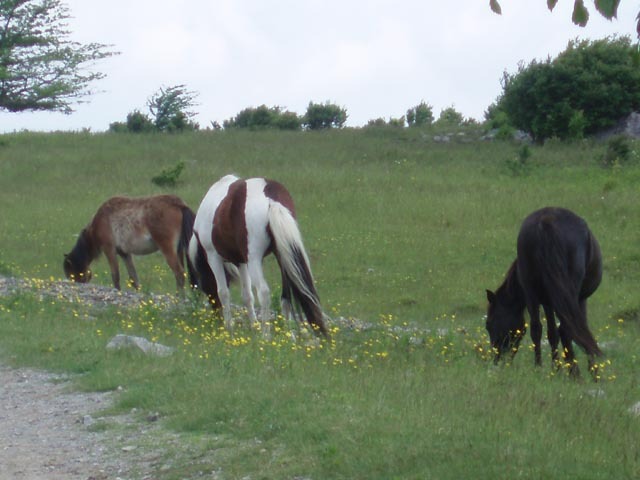 Once we got into Grayson Highlands, everyone loved the rock formations and the ponies. The rocks are very cool looking and so much fun to play on. 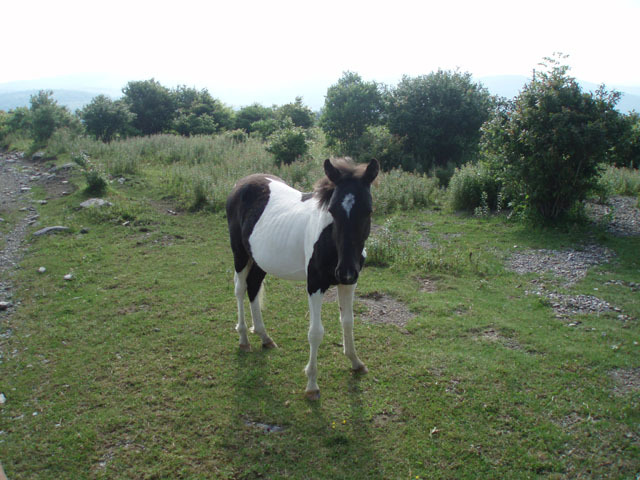 They could not believe the openness of the Highlands and the ponies topped it all off. All in all what a great hike! 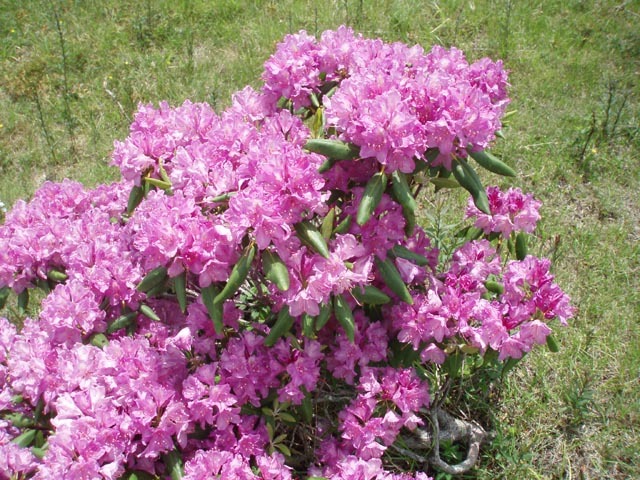 We hiked in June, so the flowers were blooming, the grass was green and the sky was blue with huge white puffy clouds. We had perfect weather and it made for an awesome trip. Note: We did heed the warning about parking and paid the $3.00 a night at Grindstone. I am glad we did. We had no incidents, and it was one less thing I had to worry about. Critique: Parked at Grindstone and it seemed secure. I don't know if these conditions were common, but all the open areas were very windy, there were rapid weather & temperature changes and it got much colder than the forecast predicted. Although there were tent sites nearby, we stayed in the Thomas Knob Shelter on the first night because heavy rain was forecast overnight. It was incredibly windy there, with a steady roar all night from the wind & downpours with the metal roof shaking & banging like it was going to blow apart. Ponies came right to the shelter opening in the evening & morning and we saw several others in the distance at other times. We didn't leave the shelter until almost noon on Day 2 because of the rain but the skies cleared and we were treated to great views of the Highlands. Lots of running water in the trails but bridges over all major creek crossings. 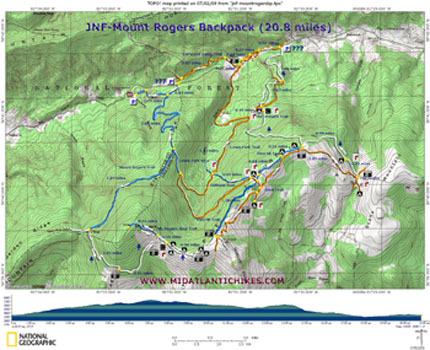 On Day 2 we deviated from this route and just hiked the AT for 11.1 miles to Old Orchard Shelter where there were lots of nice places to set up a tent. Woke up to sunny skies but a fresh layer of snow covering our tent on Day 3. Overall, the wonderful open vistas, ponies and extreme weather made a great adventure. Thanks for this very helpful map and description! James when through a lot of effort to make a table of trail notes with his comments. It's too large to post here but you can read the PDF file here. You can see his awesome photos here. 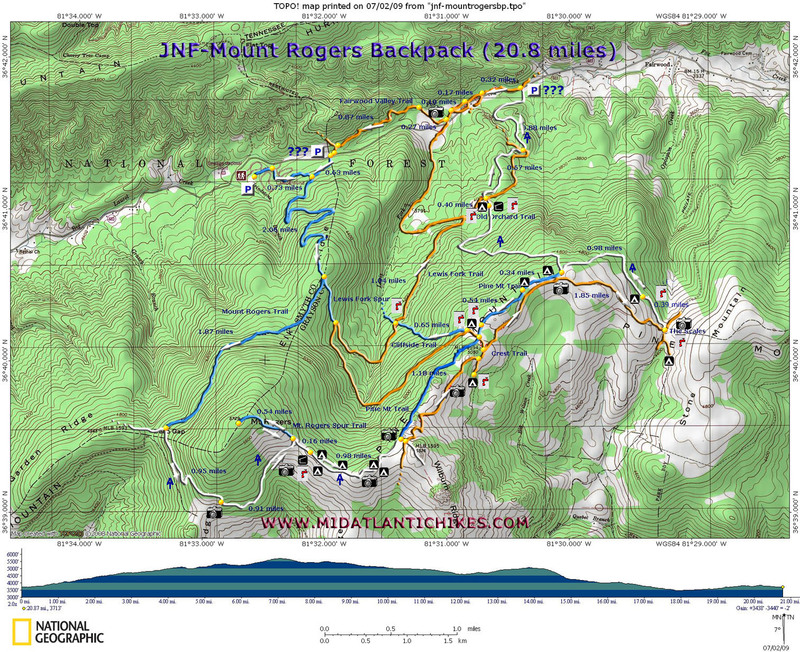 Critique: I did most of this hike a few weeks ago. The first day was a let down because we had less than one hundred feet of visibility. The second day was great though. The clouds and fog lifted, and we had great views. We almost missed the highest point though because we summited before sunrise. While we were waiting for the sun to come up, we thought that we were at the peak because we saw the marker on the rock in the opening. However, after a few minutes, we noticed another marker, off to the right of the opening, in the woods, on a rock that was a few feet taller than the one in the opening. Luckily we found it, because a 6 hour drive to NOT hit the high point, would've been a real bummer. Definitely an awesome hike though.